Forza Win(ter) is back for 2014. 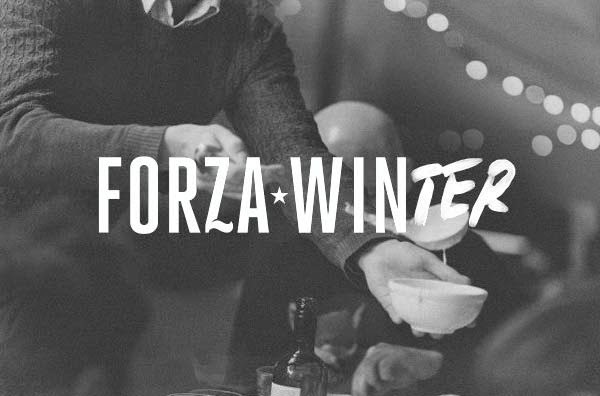 For new readers, Forza Win was a rooftop pizza pop-up in 2012, then Forza Win(ter) served up fondue in the same venue that winter. Fast forward to 2014, and Forza Win(ter) will be back for this winter on 30th October for 8 weeks of Thursday - Saturday fonduta (fondue), serviced in the middle of the table, as part of a 5 course meal. Tickets are on sale now, and £30 a head - links below. "Well, it’s back! And now we’ve grown up a wee bit, and got ourselves a home, it promises to be even more awesome. Each night guests will sit down to five courses of Italian classics, created using all British ingredients. Think Porcini Arancini, Polpette, Raddichio, squashes, hams, and all sorts of other warming wintery joy. A communal pot of Fonduta will bubble away in the centre of the table, waiting to be poured onto each course, dipped in, or drunk straight from the bowl. The menu leans towards gutsy Italian Winter classics, big flavours, generous portions and simple execution. A hot cocktail bar will be in full swing to aid digestion and keep everybody well watered. A fully natural italian wine list has been handpicked to accompany the feast, and we’ll be serving Moretti on draught and in cans form our vending machine."